All Trinity Meadows Condomini homes currently listed for sale in Carrollton as of 04/20/2019 are shown below. You can change the search criteria at any time by pressing the 'Change Search' button below. "MUST SEE, SUPERIOR LOCATION. 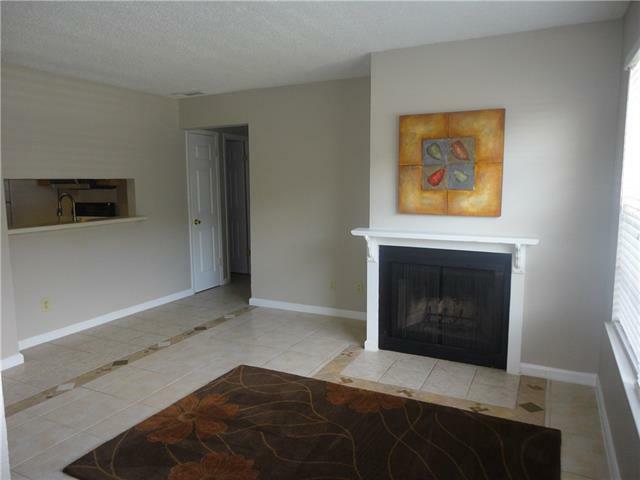 1ST FLOOR UNIT, 2 BEDROOM , 1 BATH UNIT WITH WOOD BURNING FIREPLACE, TILE FLOORS IN COMMON AREAS ,NEWISH CARPET IN BEDROOMS. FRESH PAINT. COVERED PATIO. REFRIGERATOR STAYS. HVAC REPLACED IN 2015. CLOSE ACESS TO PARKING. LOW HOA DUES, INCLUDES WATER , SEWER, GARBAGE, BLANKET INSURANCE,MAUNTENANCE OF EXTERIOR AND COMMON AREAS. CONNECTIONS FOR FULL SIZED WASHER AND DRYER. MOVE IN READY, QUICK CLOSE. HOA TO INSTALL DOUBLE PANE IN THE FUTURE. POTENTIAL PARTIAL SELLER FI"